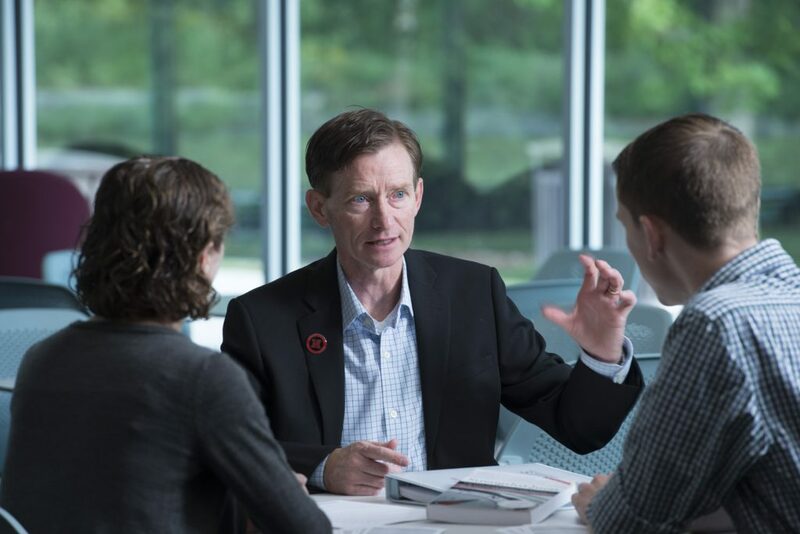 Identifying and maximizing individual strengths in emerging leaders, entrepreneurs and top achievers is at the heart of UNL’s new Don Clifton Strengths Institute. Building on the work of former UNL professor Donald O. Clifton, the institute is a long-term partnership with the Clifton Foundation and Gallup, which together donated $30 million to establish the institute in 2015. The gift includes developing the world’s largest Strengths Lab to be housed in the new $84 million, 240,000-square-foot College of Business Administration building opening in 2017. The institute enhances student learning through courses and coaching based on strengths-based leadership and assists undergraduate degree programs in management and entrepreneurship. All incoming CBA freshmen take a strengths-based course with individualized coaching. 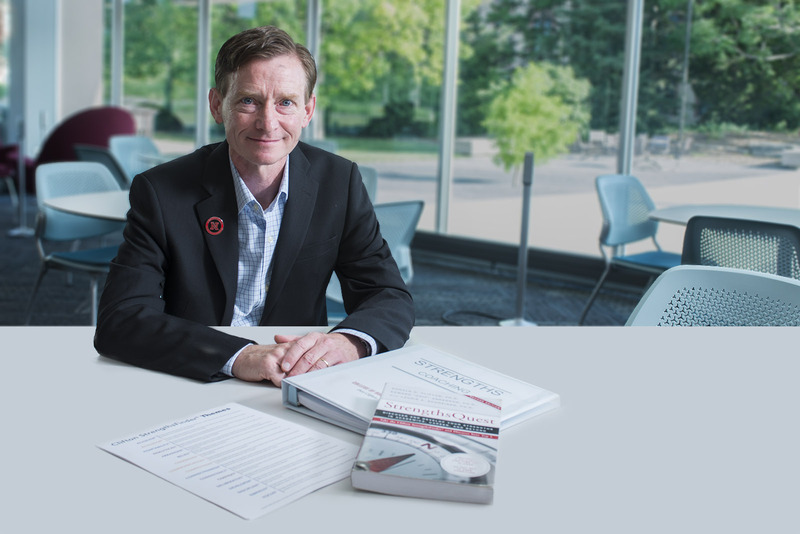 The institute supports broader UNL research on a range of topics and provides faculty and students access to Gallup World Poll and U.S. Nightly tracking data. Organizers also envision the institute offering strength and leadership workshops and learning opportunities to businesses and organizations. Mark Pogue talks with students. The research and educational programs are based on the Clifton StrengthsFinder®, an online assessment tool Clifton developed to help people understand and maximize their innate talents. He spent 20 years at UNL researching strengths and human development. He was chairman of Selection Research Inc. and later Gallup. The Clifton StrengthsFinder® is used in most major corporations and organizations worldwide. “This institute positions Nebraska as the worldwide leader in education, research and outreach focused on identifying and maximizing talent. Our business community, our state and our nation will benefit along with our students and faculty,” said Donde Plowman, James Jr. and Susan Stuart Dean of CBA.